Hello and welcome to 'The World of African Greys'. 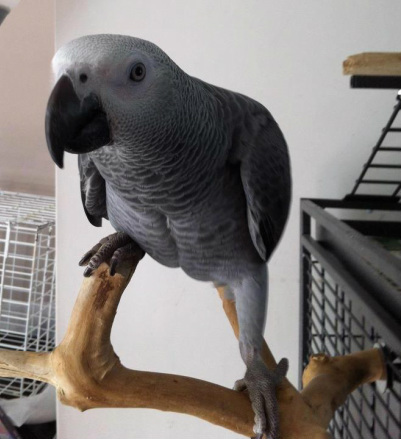 My aims in setting up 'African Grey parrot problems' was to achieve a site and friendly forum where good caring pet owners could come and visit and discuss various problems and achievements with their 'Greys' and get good factual advice. The reason I decided to make the page solely for African Greys is that not all species of parrot/bird are the same. Some have different personality traits, dietry requirements and health issues. This website has been designed to use as a reference so that all valuble information can be accessed like an reference book and all information is on hand for caring owners of African Grey Parrots to enjoy. "Love and respect your Greys and you will have a loving & devoted companion for life"
Please support us on Facebook: Click here!